Kustomfest 2014 event took place last weekend (October 11 to October 12, 2014) also became a place for US motorcycle manufacturers, Cleveland CycleWerks (CCW) released their new motorcycle. This global motorcycle first introduced at the KOSTUMFEST 2014 in Jogjakarta, Indonesia! Motorcycle in question is a cafe racer sport bike stylish named Misfit 500. 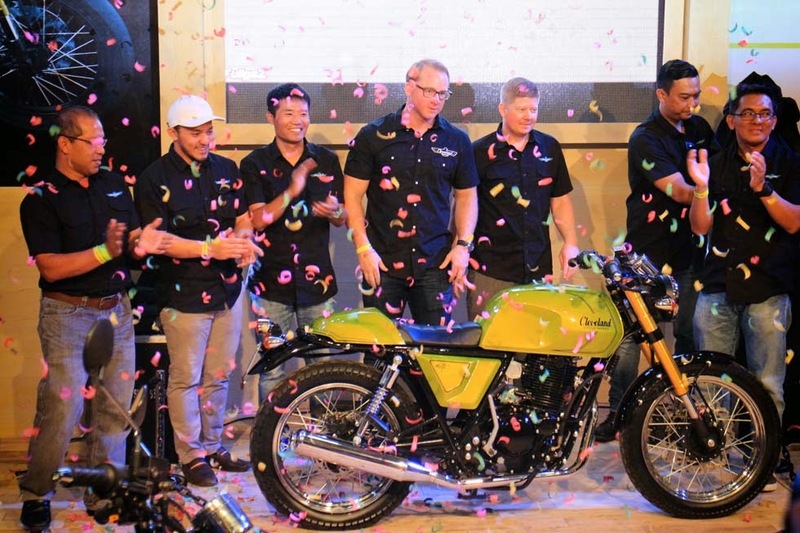 The product launch is done directly by Scott Colosimo, CEO and founder of Cleveland CycleWerks along with Dhani Yahya, CEO of PT Indonesia Javas CycleWerks as CCW sole agent in Indonesia. Finished in metallic green, the bike looks awesome. Retaining the retro styling, but with cleaner and crisper lines. This motorcycle also equipped with a single cylinder air-cooled engine with a capacity of 500 cc. Having a big engine capacity was even more special with disk brakes on both wheels and up-side-down suspension in front wheel. 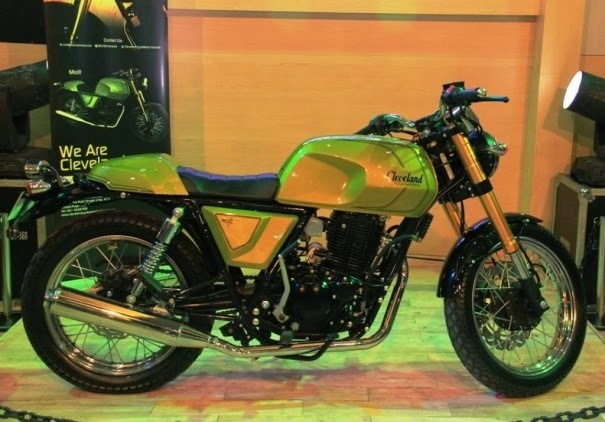 "The selection of the type that will be marketed in Indonesia is based on the growing motorcycle market in Indonesia is not just a means of transportation, but it has become part of the lifestyle," said Dhani Yahya.